With apologies to Sir Winston Churchill, who was paying respect to WWII Battle of Britain air aces. The ‘so little’ I refer to in this article is that thin, slick smart phone in your pocket. Recently I stepped through the small side door of a maintenance hangar at a regional airport and froze on the spot. Half a wing-span away was an aircraft technician leaning on the aeroplane in animated conversation, with a smart phone in his left hand, gazing into space while ratcheting out a lower rear spark plug from the engine with his right hand. At that moment, to his complete surprise, the spark plug came out of the cylinder. His conversation suddenly became disjointed as he tried holding up his end of the conversation while doing a juggling act with the phone, socket, ratchet and spark plug. Despite his desperate efforts, the hardware and spark plug dropped inside the cowl, rattling and rolling as they fell out on the hangar floor. The phone had won. I just turned and left, closing the door behind me. If you are reading this on your device while actually working on an aircraft, then please take safety action immediately and step away from the aircraft—but keep reading, because you have in your hand the most disruptive device on the planet; a direct threat to your safety and to aviation safety due to the distraction it brings, and it needs to be tamed. Very few people may remember when phones first became mobile in cars. They needed to be in a car because they were bulky and something the size of a car battery was needed for power, and a car was needed to mount the antenna. Then, one day, everything changed. A mobile phone salesman appeared at the hangar door where I was working with a group of ‘subbies’ (subcontract LAME’s) doing maintenance on a Fokker F27. The jaw-dropping thing was that he was actually carrying a mobile phone in one hand. As memory serves, these technological marvels were equipped with an extendable antenna you could go fishing with, a full-size hand piece joined by coiled wire to a transceiver with a battery the size of a house brick and as heavy and capable of jump-starting your car. Despite the hefty price tag, he sold about five, and drove off. The dust had hardly settled when it started. As ‘subbies’, we were always looking for the next job to try and ensure a steady income. Here was a real game changer, a phone in the hand being worth much more than two in the … (well, one at home and one in the car if you could afford it), but how could anyone call you about a job if they didn’t know your brand-new mobile phone number? It was only minutes before I heard weird one-way conversations coming from odd corners of the hanger and in the aircraft, as the excited new mobile phone owners called friends and employers to give out their new contact number. These phones had a short battery life, had no ‘apps’, did not take pictures, could not navigate, play movies or do text messaging, and yet they were so disruptive to the work flow that the supervisor banned them from the work area within the hour. Things sort of returned to normal, but the world was never quite the same again, because folks were now distracted, listening out for their phone to ring—which is the distraction you have while not actually having a phone distracting you (more on that later). Oh, and the phones all had exactly the same ringtone! I didn’t realise it at the time, but I had just witnessed a once-in-a-lifetime ripple in the time-space continuum which has become a global pandemic with no signs of abating. It would be fashionable to call it a tsunami, but a tsunami recedes. Because this gateway to the universe is now in our pocket, its distractive capability looks set to continue to expand exponentially. Distraction is a deadly enemy. 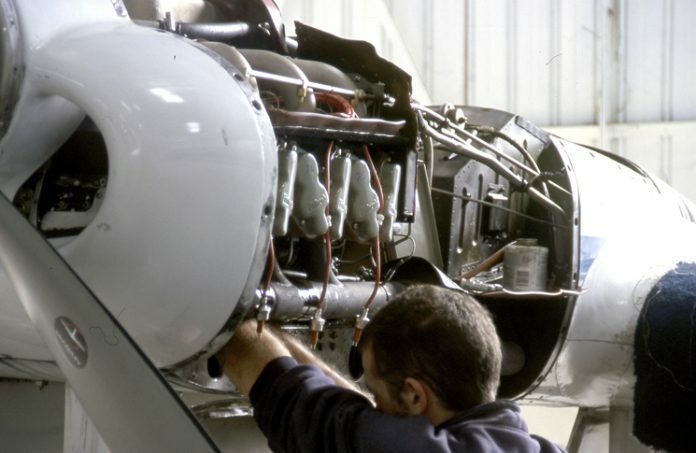 While reinstalling the main fuel filter on the starboard engine of a piston twin during a 100-hourly inspection, the LAME was interrupted by another maintainer who asked for help in synchronising the magnetos on that engine. Magneto timing completed, everyone went for morning tea. A few flight-hours later, the starboard engine caught fire in mid-air, the wing spar failed, and the fuel tank exploded. The aircraft rolled over and fell to earth as a ball of fire. I shall never forget the picture of six caskets, lids held down with the funeral parlour’s version of a brass wing nut. The LAME had been distracted. 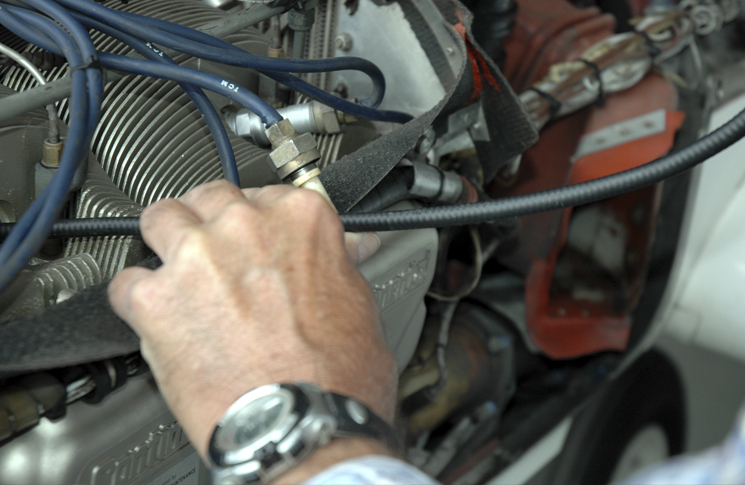 The fuel filter connection was never properly tightened, allowing highly volatile Avgas fuel to spray onto the engine as it came loose. Today and into the future, the opportunity for distraction is much worse. We have this problem of addictive and fatal distraction from mobile phones, which is so bad that the cities of Melbourne and Sydney have embedded traffic lights in the footpath of key pedestrian crossings to try and stop downwards looking ‘phone-zombies’ from walking out into fast-moving traffic and killing themselves. What is going on? Addiction? Correct. Addiction has many indicators such as loss of control over the amount and frequency of use, a craving and compulsive using and continued use in the face of adverse consequences. Social media engineers openly admit that their apps are deliberately designed not only to be attractive, but addictive, because the body releases dopamine with every reaction with social media, games, etc., and so you ‘need’ to be constantly connected to others via calls, texting and responding to alerts. ‘The mere presence of one’s phone consumes attention even when it’s not being checked. It’s been shown we have reduced working memory capacity and fluid intelligence when our phone is upside down, silent on our desk compared to when it is in another room,’ Einstein states. By now you might be getting just a little defensive and think while this is true of others it’s not true of you. Perhaps you would like to argue that the phone is your source of approved data for doing the job. This may be true, but does anyone think they can use their phone undetected? Every call and internet access logs an exact time date and data provider. 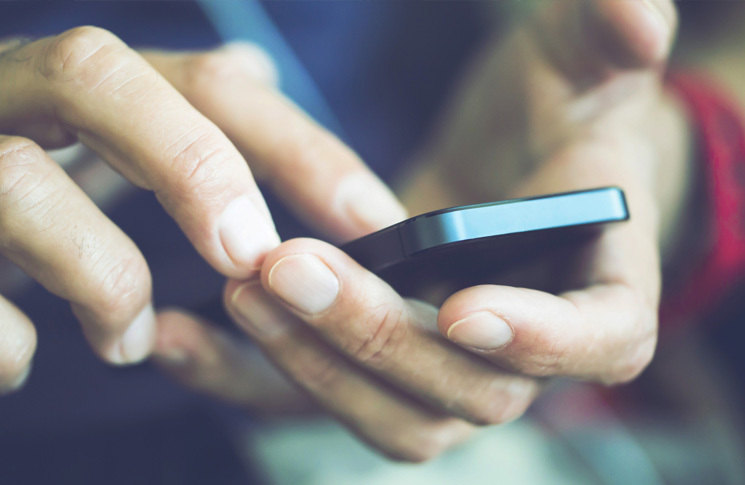 An accident investigation could easily discover when a mobile phone was used and for what, and a case for neglect of duty of care due to phone distraction could be proven to have existed. Trying to tame smartphone addiction can be quite difficult and there are some complex and comprehensive phone usage policies around, but I think the simplest is the best. Treat the hangar as a sterile environment. If working solo (the very time you think you will need it the most) either put the phone in a separate location from where you are working or turn it off, so that you are not tempted to pick up whenever it rings, or to fill in those boring moments when doing something that you have done many times before. Are you suffering the beginnings of phone separation anxiety as you read that? Sorry but it seems you may well be addicted. Again, an aircraft owner-operator might want to visit and observe a prospective maintenance organisation’s mobile phone policy. They probably don’t want to be paying for things like, well, lost time due to social media usage and dropped spark plugs. Oh yes, and before I go, just the one question: Hands up all those who want to fly in an aircraft subjected to phoney maintenance? “All mobile/cell phones switched ‘OFF’ and stored away from immediate access during maintenance work”. It would be a part of good, sound Risk Management procedures. I’m reminded of two occasions, before the advent of mobile phones, when the engine in my aircraft lost oil due to maintenance errors. Back in those days the LAME needed to down tools to run and answer the office phone many times a day. A sad symptom of how under resourced things were (and still are) in much of GA. While there is a dark side to these devices there is also a benefit if new technology is used correctly. In the very near future your GA LAME is going to have access to augmented reality devices that combine the smartphone apps with real world activities. Today with my trusty iPad i can look up all sorts of information and “how to” videos on the net for various tasks I don’t do often. 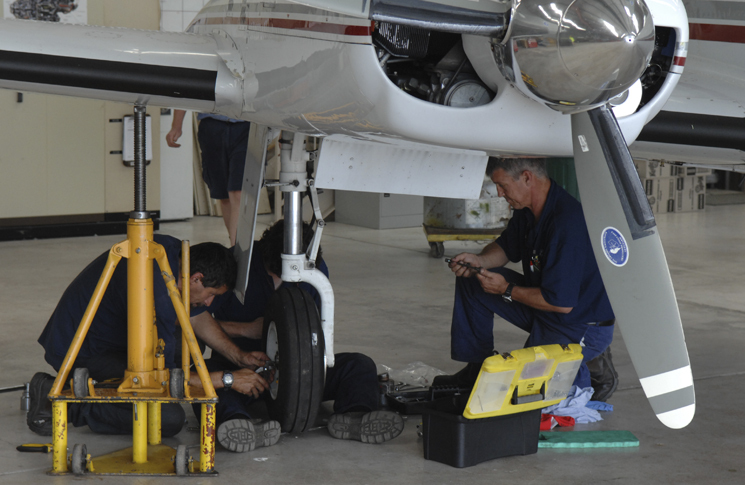 Not every aircraft is a Cessna and access to the right information at the right time is critical to improving maintenance safety long term. The new generation of augmented reality devices will allow you to record as well as view data superimposed on the protective glasses you might be wearing will working on the aircraft. These recordings could be used to help others correctly perform a task at a later date and yes they will also record tasks done incorrectly…. a brave new world. So why not look at how technology can help us improve instead of always banning stuff as a first line of defense. Yes in the examples provided distraction is a growing safety issue but providing timely access to more information to keep LAME’s up to date is something we need to explore, training people how to make the best use of technology and avoid the pitfalls is what we really need to focus on. That incident is what leads to ceramic failure which accounts for 95% of preignition events that destroy engines. This is probably the most serious cause of catastrophic failure in GA piston engines and you just turned and left? The least you could have done is watched to see if the plug was immediately destroyed and binned, not put in the plug tray for reuse. If you know her and when you have a duty of care to contact that shop, find the aircraft owner and have all the plugs on that aircraft replaced. I am not joking either. Gee I saw a car speeding one day whilst the Driver was on his Mob Ph, should I have followed them to see if they done something about their error? Told the cops perhaps? Yr view is extreme to say the least!! You clearly have no understanding of how serious that event is. My view is based on results of this kind of problem. I suggest you get a deep breath and ask why I would have such an extreme view. The opposite of informed is ignorant. We are all ignorant of things, but this is not something I am ignorant of. Happy to discuss if you would like to contact me. Walter, 40 years of being a pilot does not mean you are an expert in every facet. I am not an expert in every facet, have no pretense to being. It is not what you do not know that harms you, it is what you know that isn’t so! Just consider that for a bit. I assisted CASA in improving this AWB last year, maybe this will give you an idea. But in short the vast majority of PREINITION events are caused by a cracked ceramic. These events if let go longer than about 60 seconds destroy the piston and ultimately the engine. Even if it runs for a few minutes longer they eventually seize due to the oil loss. Only a few percent can be attributed to cross firing and even less the slight possibility of a heli-coil tang protruding into the chamber. I hope you find this interesting, but please be aware, the GA industry is jam packed full of Old Wives Tales, and many are to do with detonation and preignition. Humans are easily distracted even well before the Mob Ph was invented. Mistakes will always be made, it’s part of learning and the human physic. Human factors and all the other hairy fairy rubbish is a huge industry thriving on something that can never be changed! Awareness is about all we can do to mitigate some of the risk.